Double Edge IPA Release! 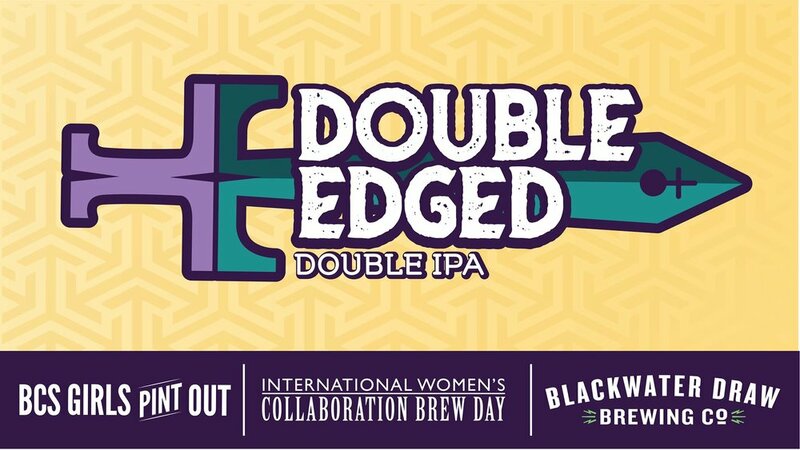 — Blackwater draw brewing co.
Meet us at April First Friday and join us for the release of Double Edged, our International Women's Collaboration Brew Day beer! Our DIPA is citrusy, smooth, and bready - did we mention, brewed by women! We once again had the pleasure of working side by side with Blackwater Draw Brewing Co.'s head brewer Chris Weingart to develop and brew our recipe.